Hi, I'm Nyssa, the creator of Snow Pea Nappies! 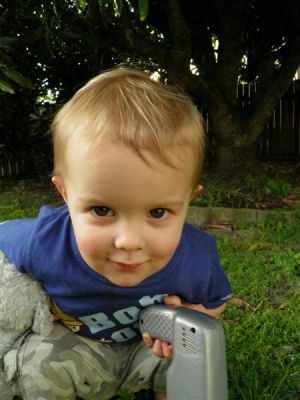 I am a SAHM to a gorgeous 2 year old boy who is the light of my life as well as being the inspiration for my nappies. I had always planned on using cloth nappies so before Eli was born I started researching MCN's and bought several different types to try out. Once he arrived I was able to test all my new nappies and found there were some I liked and some that were not right for Eli, and as any MCN user will understand, I soon became addicted to buying new patterns and new brands! After a few months it occurred to me that the only way I would find the 'perfect' nappy for me would be to design and make my own (plus it would be easier than trying to convince my partner to let me buy more), thus Snow Pea Nappies was born! Cloth nappies are great for baby, great for the environment and a whole lot cheaper than disposables! I hope that once people learn how easy they are to use (and how cute they are on little bottoms) they will at least give them a go. Even one cloth nappy used means less disposables in landfill.